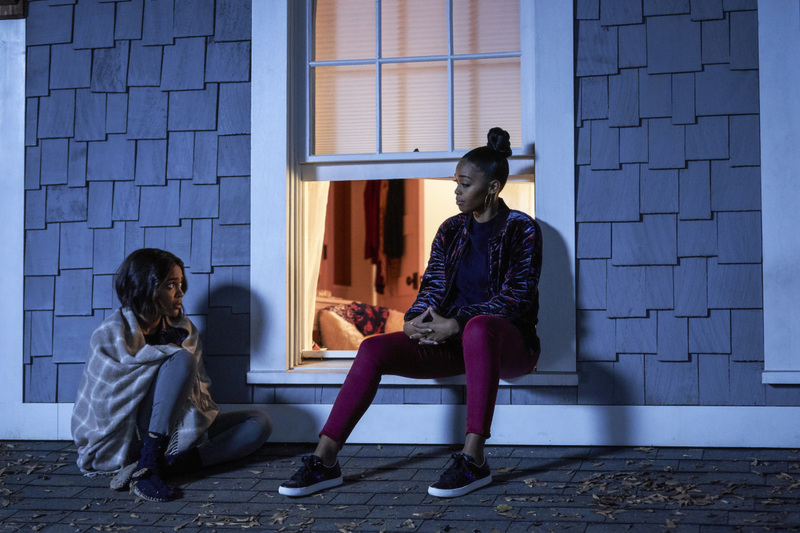 Preview images and spoiler description for the Black Lightning episode "The Book of the Apocalypse: Chapter One: The Alpha"
The CW has released an official description and preview images for “The Book of the Apocalypse: Chapter One: The Alpha” which is the new episode of Black Lightning airing on Monday, March 11. Here’s the description; photos follow below. SEASON FINALE PART ONE – Lynn (Christine Adams) counsels former pod kid, Wendy (guest star Madison Bailey), in how to live in a world that’s new to her but the fate of the other pod kids remains in doubt. Meanwhile, Anissa (Nafessa Williams) figures out Grace’s (guest star Chantel Thuy) secret. Lastly, Jefferson (Cress Williams) tries to install a superhero code for his metahuman offspring, but Jennifer (China Anne McClain) insists on taking revenge on Tobias (Marvin Jones III) for her boyfriend’s death. Damon Gupton and James Remar also star. Salim Akil directed the episode written by Jan Nash (#215). Original airdate 3/11/2019.